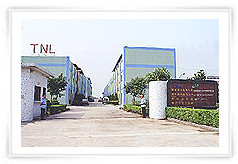 TAIWAN NEON LIGHTS(CHINA)CO.,LTD. is a Taiwan-capital enterprise. Having 30 years of experience in making Neon lamps, it is a well experienced manufacturer in the lighting industry. The quality policy of Fengsheng is to start with customer's requirement and end with customer's satisfaction. The operation philosophy of Fengsheng is to make excellent products to benefit the society. Thus, Fengsheng has been enphasizing on product quality and management. In 1997, it established the ISO9002 system and got the German certificate of TüV. Up to now, Fengsheng has two brands of products, which consist 3 series and 20 sizes for each series. Its products are widely used for household electric appliances, kitchenware, electronic equipment and communication equitment, etc. Most of its products are exported to Europe and America. Due to high quality, punctual delivery and favorite price, Fengsheng has won high reputation from customers. Welcome to cooperate with Fengsheng! Quality Policy: to start with customer's requirement; to end with customer's satisfaction.